At the age of 17, high school athlete Marcello Ranieri decided to trade his football and soccer cleats in for a pair of Capezios. Born and raised in the prairies of Winnipeg, Manitoba, the quick study made his way out west upon being accepted into the prestigious Source Dance Company and continued his training under the direction of Joanne Pesusich. While in Vancouver, Marcello had the chance to work with Stacey Tookey (So You Think You Can Dance) and worked as the assistant choreographer to Heather Laura Gray on A&E’s Bates Motel. Marcello became an assistant for the 2015 Groove Street Dance Convention Tour which gave him the opportunity to assist many renowned choreographers such as Luther Brown, Sabrina Phillip, Robert Roldan, Tara Jean Popowich, Scott Forsyth and many more. A few credits include dancing for former Pussycat Doll, Jessica Sutta and pop sensation JoJo for her “When Love Hurts” performance, choreographed by Ricky Lam (EDGE PAC). 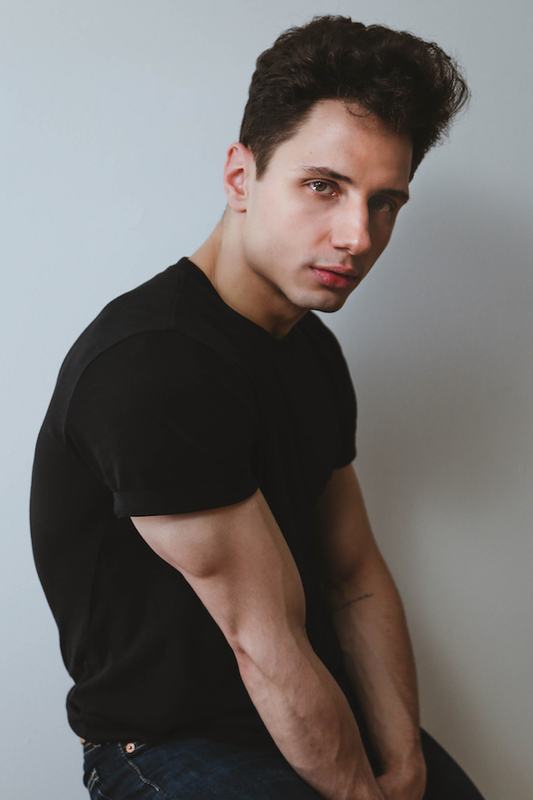 Residing now in Toronto, Marcello has worked as a dancer on many exciting projects with choreographers Cora Kozaris, Caroline Torti, Jeff Dimitriou, Jesse Rob, Anisa Tejpar, Derek Piquette & Mitch Jackson. Recently returning home from the 2018 Art On Ice Magic tour in Switzerland, Marcello had the opportunity to dance for British singer-songwriter Emeli Sandé and Swiss band Pegasus, choreographed by Sean Cheesman (SYTYCD) and Ontario native Caroline Torti. Other credits include working with Aveda Canada, MAC Cosmetics, Fashion Art Toronto and Toronto School of Circus Arts. Marcello was awarded the title of PROTÉGÉ under Brian Friedman at The PULSE On Tour dance convention, and performed in New York at the Finale Gala choreographed by Brian Friedman and UK native Dean Lee. With an eagerness to dive further in the arts and a passion for being on film, Marcello began studies in acting for film and television. His new love for acting has him currently training under Lewis Baumander at LB Acting Studio in Toronto. Marcello plans to continue his career in dance, but is simultaneously working at having a successful on camera career as an actor.